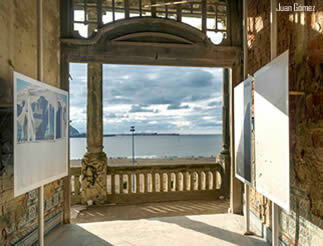 Getxo is a coastal town in Bizkaia, situated on the right bank of the estuary, 10 km from Bilbao. From the beginning of the 20th century it was home to the majority of Bilbao’s bourgeoisie, and today we can enjoy the impression they have left through their grand mansion houses and pretty promenades. Are your stopping over in the Port of Bilbao? We invite you to get to know Getxo, the docking place of the major international cruise liners and a tourist spot in the Basque Country that is annually visited by over 60,000 tourists who pass through our Cruise Terminal. 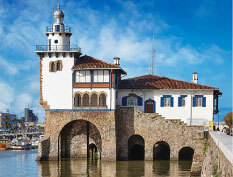 Getxo offers cultural visits, gastronomy, shopping, nature … the charm of tradition concentrated in our Old Port, Bizkaia Bridge or the Hanging Bridge, or the architectural beauty of its impressive seaside palaces and mansions. 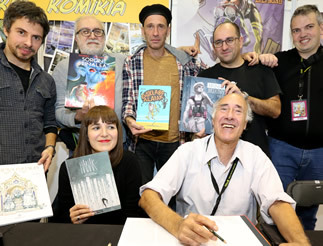 We invite you to get to know Getxo! 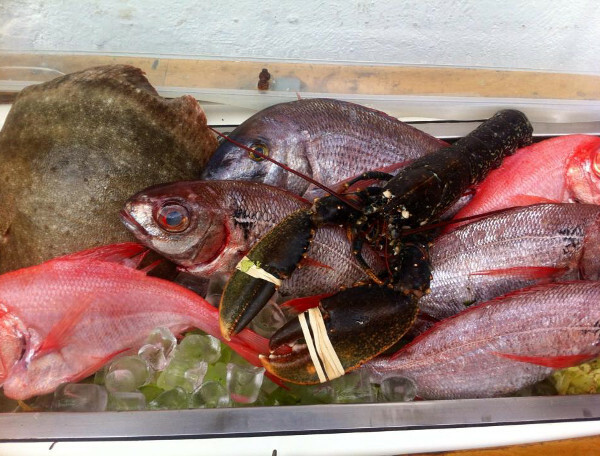 Enjoy the sea and gastronomy in the town’s fishing harbour. A place that makes visitors fall in love with its narrow streets, old buildings and its famous bars with their counters replete with impressive pintxos. It is ten minutes away from the Algorta metro stop and it is usually busiest in the mornings, when people come to have an aperitif at its numerous bars and terraces. After savouring some of their delicious pintxos, you can take a stroll by the sea or have a meal at one of the restaurants on the Ereaga Promenade. 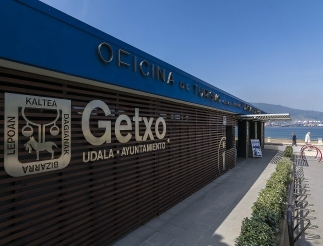 For those of you with only a short time to see Getxo, there is this practical tour by taxi, where you can visit the most representative spots in the town. It is a circular route taking in Las Arenas, Neguri, Algorta and Andra Mari, ending at the same point as it starts or wherever the visitor decides. 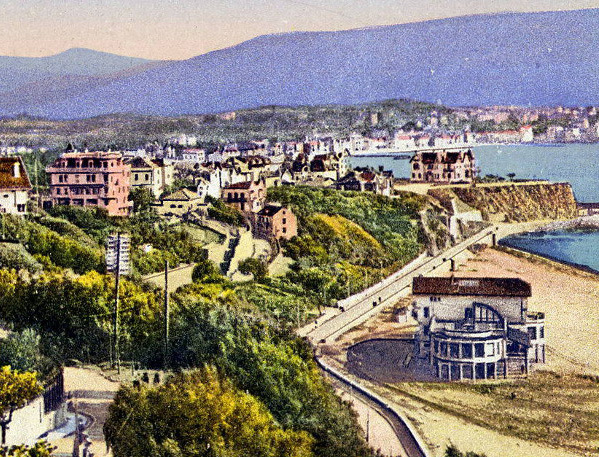 A 20-minutes tour of the most emblematic places in Getxo. It costs €20 a taxi with a maximum of 4 passengers per vehicle. To get to know it a little more in depth, you have this route which includes short stops enabling you to take photos if you wish. It lasts 60 minutes and costs €35/taxi. As in the previous option, there is a limit of 4 passengers per taxi. Ideal for enjoying the view out over the southern waters of the Cantabrian Sea and its cliffs, the La Galea walk also includes a number of points of interest such as the Aixerrota Windmill, the lighthouse or La Galea Fort. Aixerrota Windmill is an interesting building. It is a windmill built in 1727 because of a prolonged drought. A wind-powered mill was built that did not require water to grind the grain. Once the drought was over, the traditional mills received the water they needed to work and as the years went by, Aixerrota Windmill stopped being used for this purpose. Today, and since its renovation at the end of the 20th century, the windmill houses an art gallery and a restaurant in the adjacent annex. On this walk, you can enjoy the marvellous views over the mouth of the Nervión River as it flows into the Cantabrian Sea, at what is called the El Abra Estuary. Getxo has a pedestrian footpath that crosses these cliffs forming a pleasant route up to Punta Galea. Punta Galea is where La Galea Fort is located. Perched on the clifftop, the fort was built in the 18th century and it offered commercial traffic defence up to Bilbao. It had strong masonry and ashlar-work walls, in addition to 18 embrasures for cannons surrounded by a ditch. Inside, there were a number of buildings that served as warehouses and arsenals, as well as facilities for the troops. 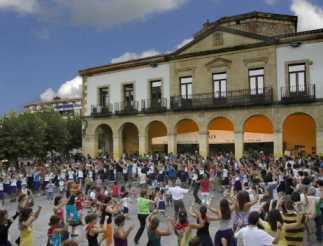 In 1947 the Ministry of Defence gave up the property and made it over to Getxo Town Hall for public purposes. A recreation area was installed there, focussed around a picnic area that was subsequently closed in 1975. This walk takes place in an exceptional natural setting, surrounded by rugged cliffs and woodland with local plant species in the process of recovery. The Hanging Bridge, also known as Vizcaya Bridge is Getxo’s engineering symbol and one of the great monuments of the industrial era in Bilbao. It was built in the year 1893 in order to facilitate communications between the Las Arenas district and Portugalete, without interrupting shipping, which was very important at that time. Recognised as a World Heritage Site by the UNESCO, a visit is well worthwhile to see its spectacular views and to even go up it, because it continues in operation. You can reach it by taking a walk along Ereaga Beach or from the Areeta metro stop. 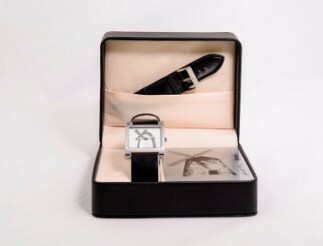 It works continuously, except from 12:30 to 05:00, when it departs every hour. Go up to the pedestrian walkway in the panoramic lift (50 m high) and you will enjoy some extraordinary views taking in the entire Nervión rivermouth, Bilbao Port, the adjacent mountains, Portugalete and Getxo. If you don´t want to miss the slightest detail, contract the audioguide service: € 2. Tickets for the Walkway are available at the Hanging Bridge shop. They can also be booked in advance filling out the following form. We suggest a unique route. Enjoy the marvellous views you can get from Getxo’s panoramic lift, located on Ereaga Beach. It will take you to the Maria Cristina viewing spot where you can take advantage to photograph some lovely views. The route continues along Basagoiti avenue where you can savour some of Getxo’s best pintxos, visit its designer stores and stop off at Algorta Market. To round up the route you will visit theOldPortand go down to Ereaga through its pretty little alleys. If you would like to learn more about the singular features of Algorta’s old fishing port as well as curious facts and the history of its beautiful houses, go to this App we have designed for you. - Bycicle rental service: € 2 (Getxo Bizi).